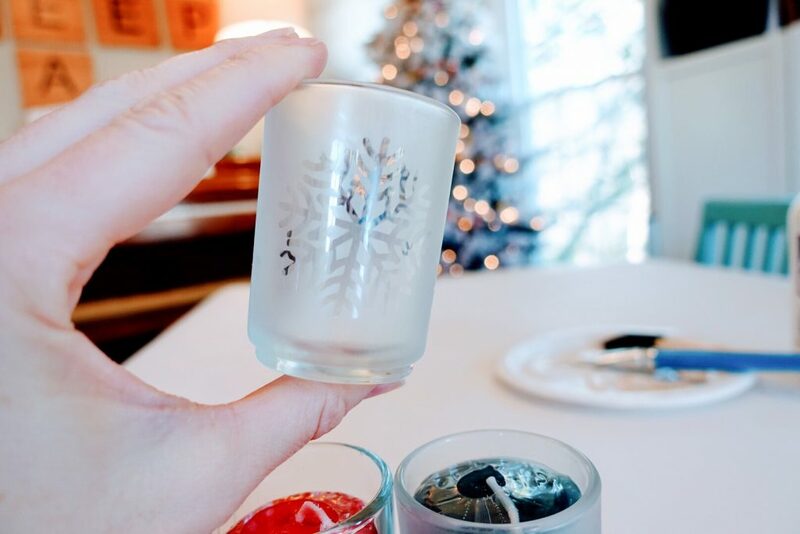 Glass etching is a quick and easy craft that make perfect personalized hostess gifts and holiday gifts. 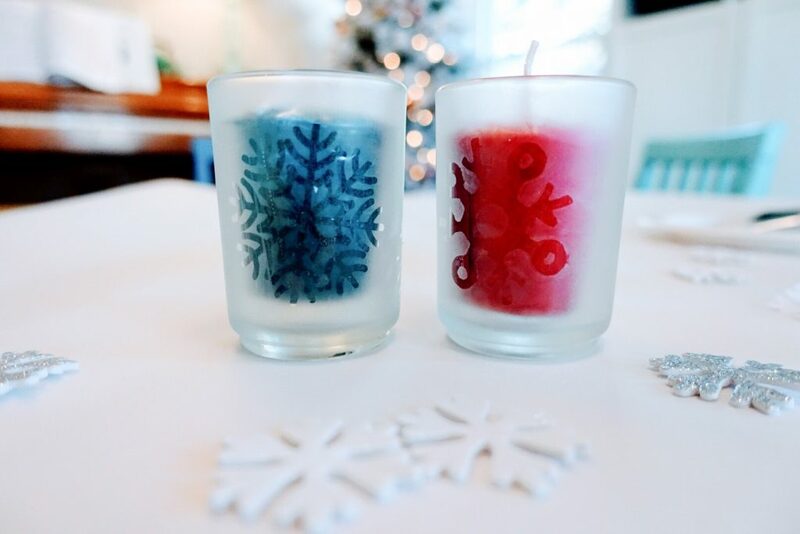 You can also make a set for yourself … GASP! 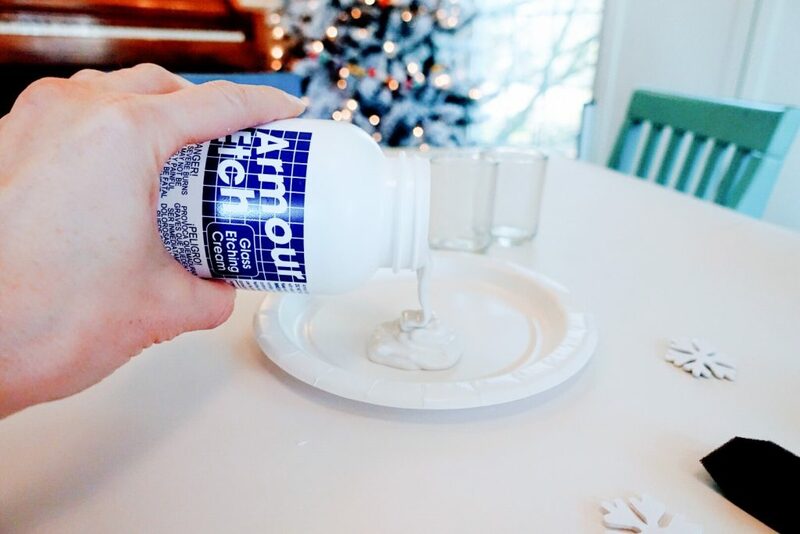 .. to dress up your holiday table. 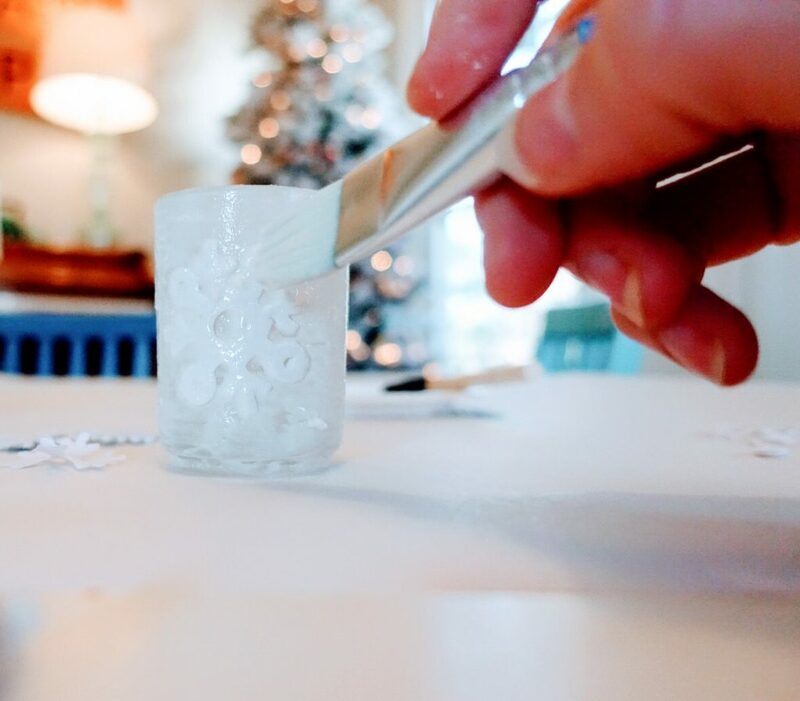 We decided to etch votive candle holders that can be found at your local craft store, online and even at the dollar store. 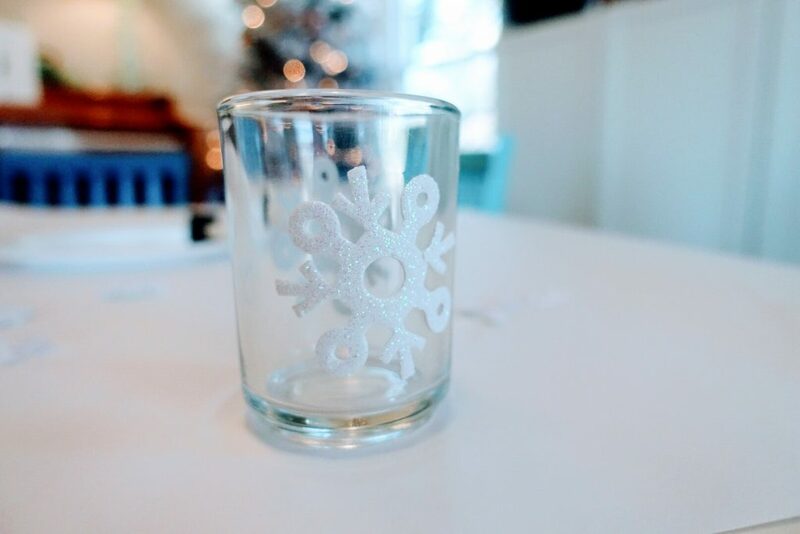 You can also etch shot glasses, wine glasses, flower vases. 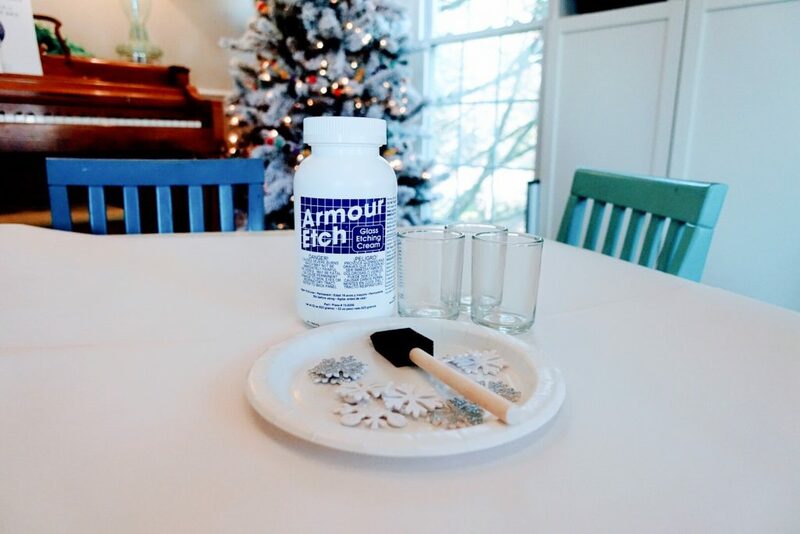 Plastic surfaces will not work, but pretty much any glass container will give you the same results. You might also want a pair of latex or nitrile gloves, especially if you’re kids are helping with the project. Gather your supplies and cover your workspace. Shake up the etching cream then pour a little out onto a disposable plate. The vinyl decals provide a more detailed finished edge, but we found that foam stickers work pretty well too! 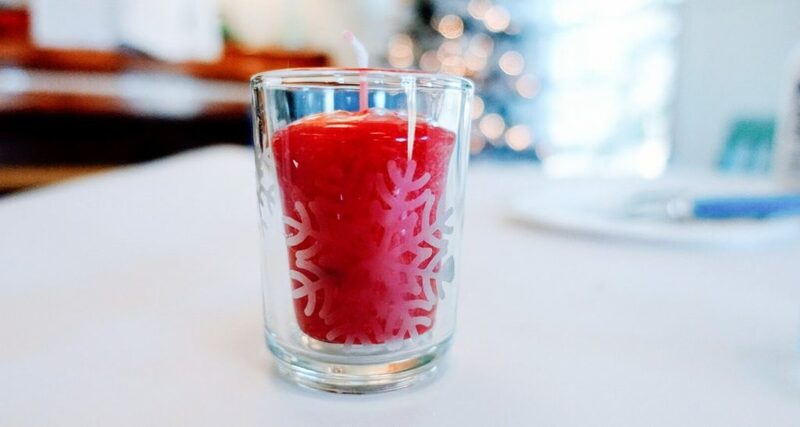 Place your sticker or vinyl design on your glass votive holder or shot glass making sure that it’s firmly pressed down. Begin brushing on a layer of your etching cream. Let it sit for about 1 minute then brush on another light layer in the opposite direction. Let it sit for another minute and add one more thin layer of etching cream. Let the cream sit on the glass for at least 5 additional minutes. This one we used vinyl stickers instead of foam stickers. The finished product image shows a lot more detail but both worked pretty well. 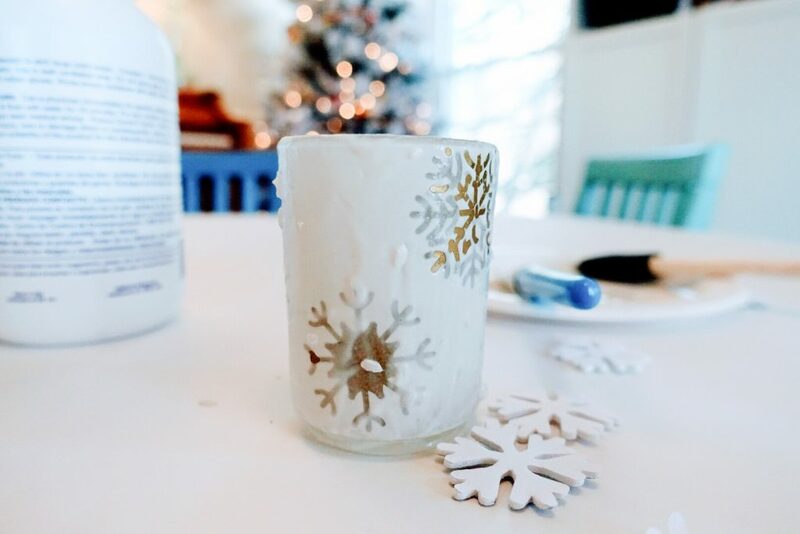 Use the same method of painting on a few thin layers of etching cream in different directions when using the vinyl stickers. After the 5 minutes, rinse the etching cream from your glass container. After you’ve removed all of the etching cream then you can carefully remove the stickers from the glass container and discard. The stickers can only be used once. 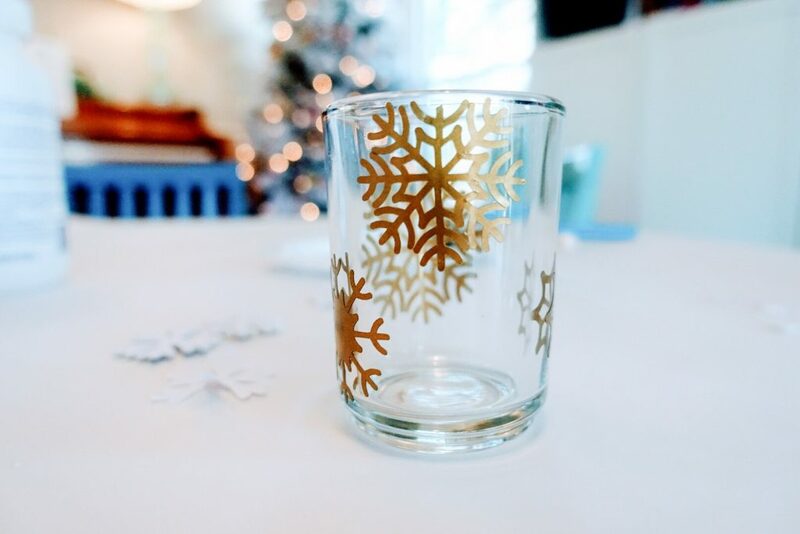 Dry off the glass and marvel at your finished product! 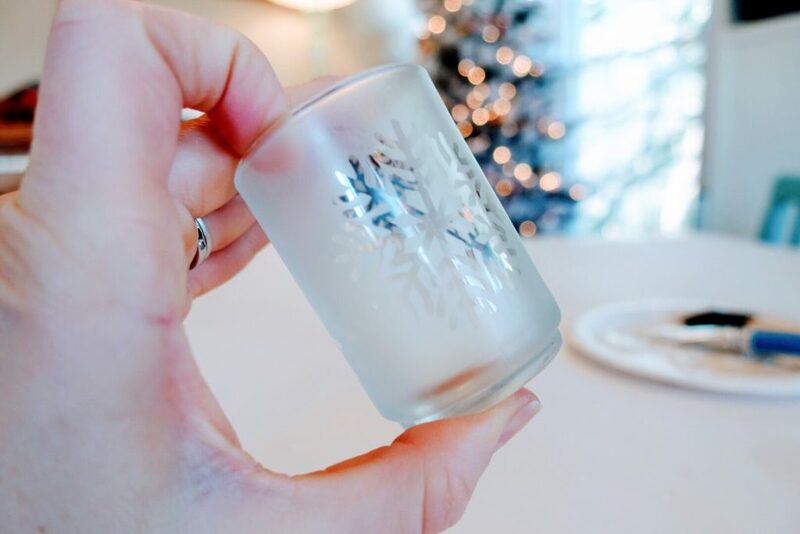 If it’s a drinking glass, I would suggest washing it thoroughly with soap and water before drinking out of it just to make sure that you’ve removed all of the etching cream. Using letter stickers or vinyl to add a monogram would also be a nice way to personalize these for gifts. I’m off to find some more glasses to etch 🙂 Happy crafting! !